Philadelphia Police have located the vehicle belonging to the elderly woman brutally murdered in her East Mount Airy home on Monday. 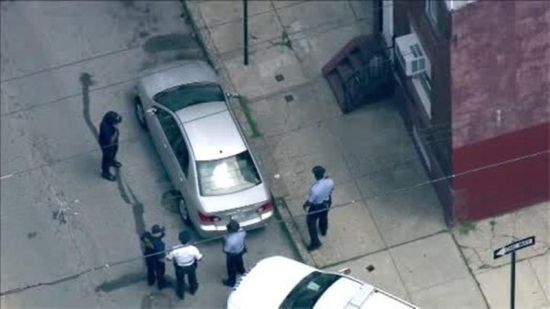 The silver 2007 four door Toyota Corolla was found on Tuesday morning on the 3100 block of North Stillman Street in North Philadelphia. 85-year-old Regina Brunner was discovered inside her home on the 300 block of East Roumfort Road on Monday. She was beaten, stabbed, and her throat was slit. Police have not made any arrests and are trying to identify a suspect. Brunner was still active, going to the gym, babysitting her grandchildren, and woking for the Chestnut Hill Local as an editorial assistant and writer a few times a week. Detectives are still investigating. New Jersey Governor Chris Christie announced that he is running for President in 2016 at his high school alma mater, Livingston High School, in North Jersey on Tuesday morning. He was surrounded by family members on stage for the announcement. Christie is a straight-shooter and says what's on his mind. His slogan is in fact is: “Christie 2016: Telling It Like It Is.” While at Livingston he was elected class president 3 years, it is fitting he returned to his roots to launch his biggest campaign yet. The Vatican has released the itinerary for Pope Francis' visit to Philadelphia on September 26-27. He will visit Washington D.C. and New York City before arriving in Philly. He'll arrive by plane on Saturday morning and travel by motorcade to the Cathedral Basilica of Sts. Peter and Paul to celebrate mass. This mass will only hold 1600 ticketed people. Pope Francis will then head to Saint Charles Borromeo Seminary. In the afternoon, he will give an address on Religious Liberty and Immigration at Independence Hall. On Saturday night he'll take part in the Festival of Families on the Benjamin Franklin Parkway. On Sunday he'll address the Cardinals and Bishops at the Seminary. He'll also visit with prisoners at Curran-Fromhold Correctional Facility in the Northeast. Sunday afternoon will be the main event. The Papal Mass on the Benjamin Franklin Parkway at 4 p.m. is expected to draw a million and a half people. He will leave on Sunday evening.